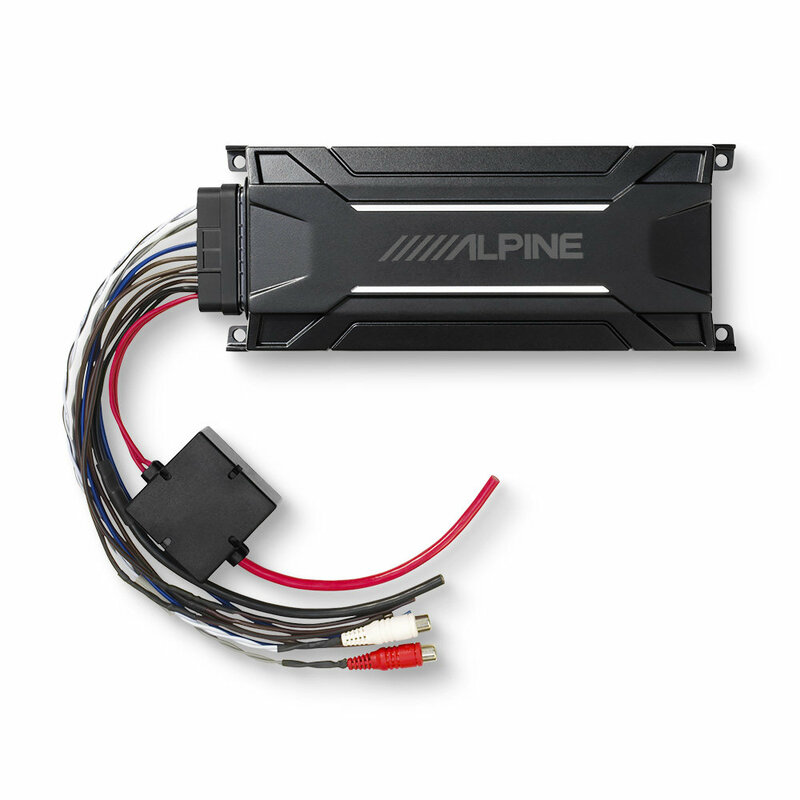 Alpine has been making sound and entertainment systems for years, and over that time they've gotten a lot of feedback from Jeepers and went the extra length to accommodate their needs. Many take advantage of their Wrangler's offroad capability where some just like to put the top down. In either situation your interior can be exposed to the elements. 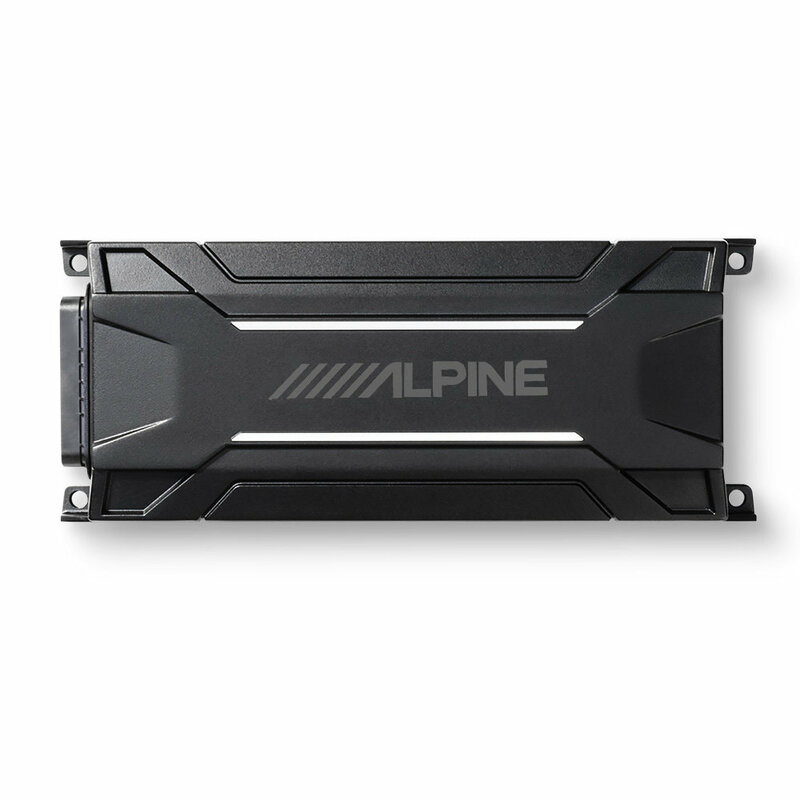 In an effort to accommodate you, the customer, Alpine has made the KTA-30MW Mono Tough Pack Amplifier waterproof with an IP66 rating that will easily protect it from any precipitation or standing water you might be driving through. 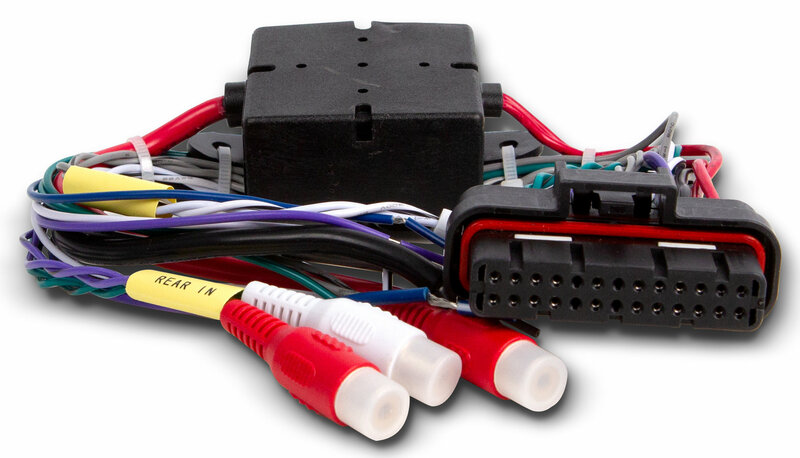 The Mono Tough Pack Mono Amp has a small footprint so can be conveniently mounted in the factory location with the factory hardware underneath the dash on the driver's side. 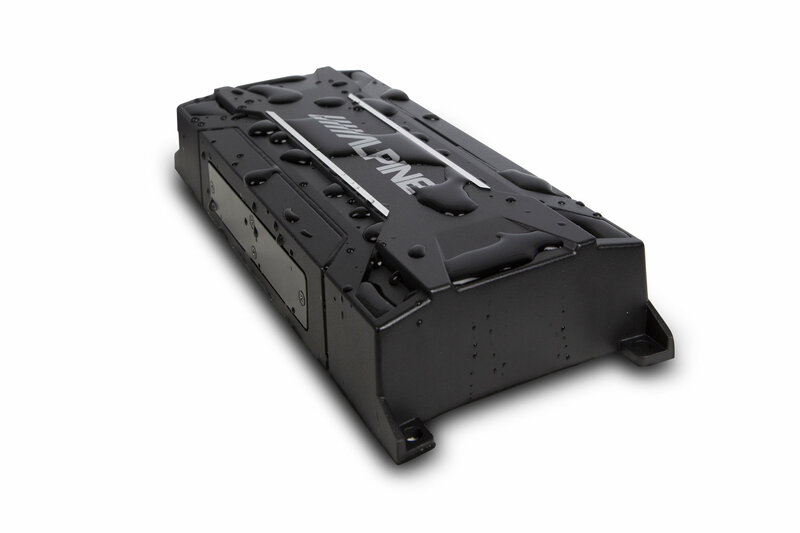 Another notable feature Alpine takes pride in developing for their KTA-30MW amplifier is their proprietary DPP, or Dynamic Pulse Power, technology. This allows the amplifier to quickly increase the internal gain level when it's needed for louder and more abrupt audio signals. Once the amplifier recognizes the boost in signal the gain is raised effectively doubling the required amount of power. Need the whole system? 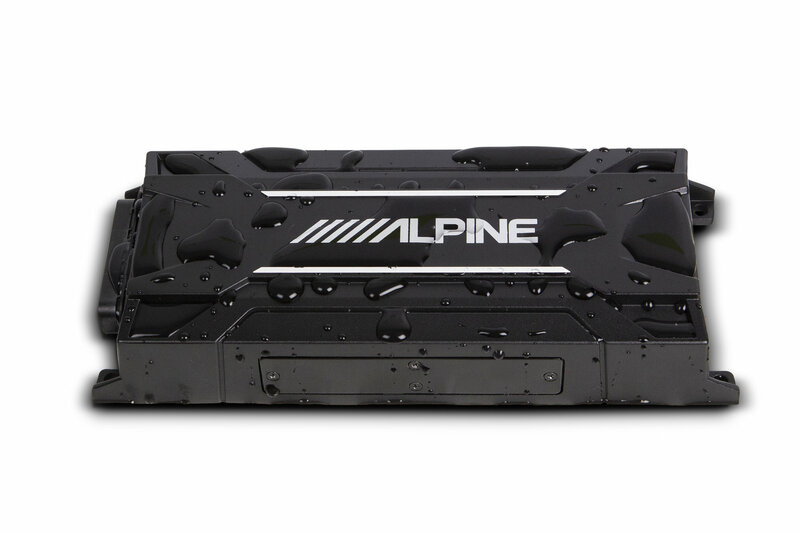 Check out the Alpine PSS-22WRA Waterproof Sound System.